* Auto part import tariff to be slashed in 2016: The Ministry of Finance has proposed to reduce import duty to zero percent for various automobile parts and spare parts by 2016. According to the proposal, the new import duty rates will be applied to engines and other parts of automobiles with a cylinder capacity of under 2,000 cc, such as gearboxes, wheel blocks and electric lighters. Auto engines imported from the Republic of Korea (RoK) will be subject to a much lower import duty rate (3 percent instead of current 20 percent) in 2016, equal to the rate committed in the Vietnam-Japan Free Trade Agreement. In the meantime, other auto parts including gearboxes and wheel blocks will enjoy a duty rate of 5 percent instead of current 12-20 percent as planned. Particularly, electric lighters will enjoy a zero-percent import duty. The ministry also proposed to apply zero-percent import duty on diesel engines, gearboxes, interior furniture and accessories of trucks from the RoK and Japan in 2016 instead of 2018-19 as planned. * PM okays installation of slot machines at international airports: The Prime Minister has given a go-ahead for Vietnamese international airports to install prize-winning slot machines for passengers on exit or in transit in departure areas, the government office informed. The office, in Notice No. 380/TB-VPCP dated November 19, added that the PM had approved the Airports Corporation of Vietnam’s plan to conduct the business of prize-winning video games for passengers. The Finance Ministry would be assigned to consult the Deputy Prime Ministers and other related ministers before finalizing a draft decree to supplement Point a, Clause 3, Article 19 of Government Decree No. 86/2013/ND-CP dated July 29, 2013, on the business of prize-winning video games for foreigners. 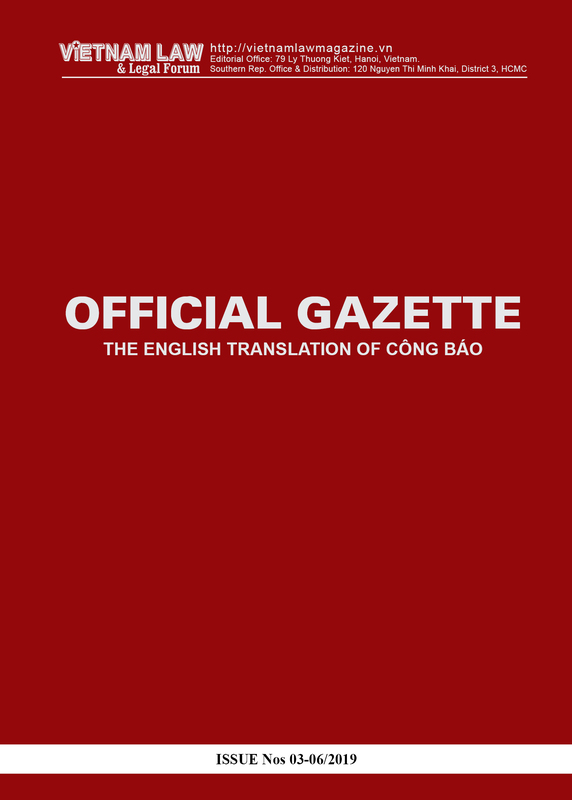 Accordingly, entities eligible to be granted certificates for conducting prized video games for foreigners will include airport service providers in departure areas for exit and transit passengers at international airports, in addition to five-star or luxury-class tourist accommodation establishments classified by competent authorities. The draft is expected to specify business conditions, persons eligible for playing games, management responsibilities of functional agencies and assurance of national security and social order and safety related to this business. 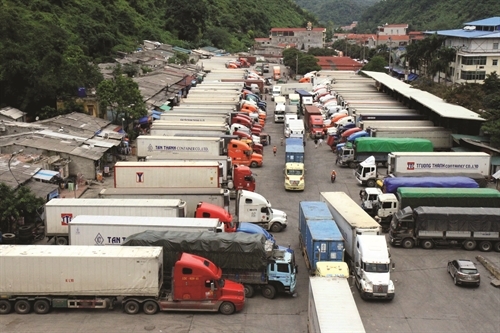 * Shorter customs clearance time for imports, exports schemed for next five years: The Prime Minister on November 17 approved a scheme providing solutions to improve the effectiveness of specialized inspection of imports and exports through Vietnamese border gates, urging concerned ministries to further simplify customs and related procedures for enterprises to enjoy customs clearance as quick as in ASEAN-6 countries, and with lower expenses. Specific targets are to reduce the customs clearance time to 10 days for Vietnamese exports and 12 days for imports into Vietnam by 2016 and to less than 5 days for both imports and exports by 2020. To facilitate the procedure simplification, 13 ministries are requested to revise a total of 87 legal documents on specialized inspection of imports and exports in the fourth quarter of 2015 and the first quarter of 2016. The Ministry of Agriculture and Rural Development will have to revise or replace as many as 49 circulars and decisions, the Ministry of Industry and Trade: 10, the Ministry of Health: 9, the Ministry of Construction: 4. 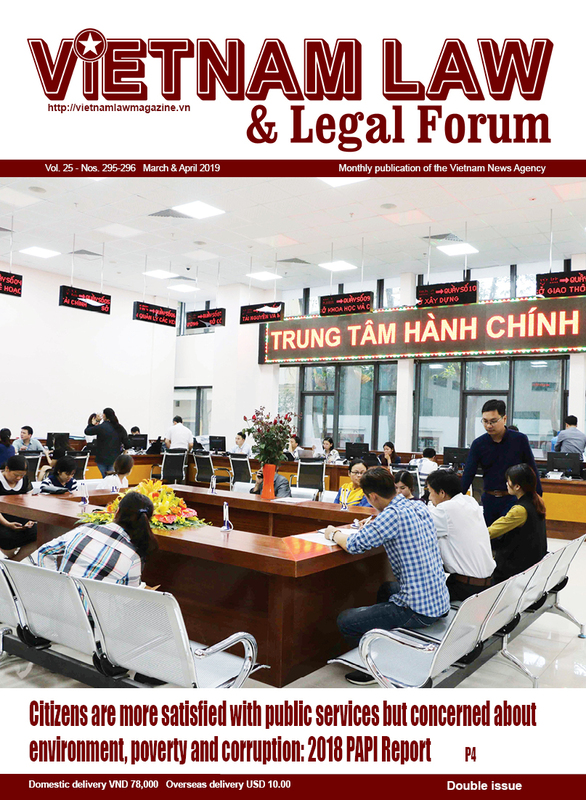 The Decision also expresses more practical requirements that specialized inspection must be focused on goods deemed harmful to health, the environment, national economy or security and conformable with international practice and treaties to which Vietnam has acceded. * Expert advices sought to solve problems related to giving codes for imports, exports: Difficulties facing domestic and foreign enterprises in implementing the latest customs legal documents, including Circular No. 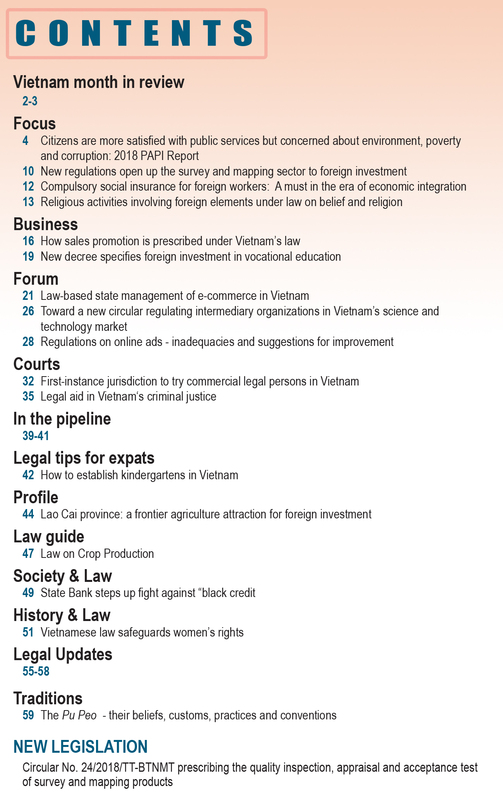 23/2015/TT-BKHCN on import of used machinery, equipment and technological lines, which will become effective on July 1, 2016, have been discussed at a recent workshop jointly held in Ho Chi Minh City by the Vietnam Chamber of Commerce and Industry (VCCI), Vietnam Trade Facilitation Alliance, AmCham and United States Agency for International Development (USAID). Evaluation conducted by VTFA showed that regulations on predetermination of codes and origin of goods and prevaluation thereof had helped enterprises exercise their freedom of enterprise in import and export activities and uniformly apply the automated customs clearance system and customs intelligence system (VNACCS/VCIS). However, many of them are not in line with the Trade Facilitation Agreement under the World Trade Organization (WTO) or the Trans-Pacific Partnership (TPP) and should be revised. Besides, in practice, the predetermi-nation/prevaluation process is still a time-consuming one (40, 60 or even 120 days compared to under 30 days as prescribed). To end this, domestic importers and exporters suggested more specific regulations on different time limits for predetermination of codes and origin and prevaluation of imported and exported goods. * Seventeen major service charges to be converted into more flexible prices from 2017: Under the Law on Charges and Fees passed by the National Assembly on November 25 and scheduled to be effective as from January 1, 2017, 17 public service charges, including irrigation charge, road use toll, port and station charges, vehicle inspection charge, securities operation charge, etc., which the State does not need to strictly manage will be shift to the state-regulated pricing mechanism. The new mechanism aims to encourage the participation of non-state service providers in order to reduce service costs and improve service quality for users, explained by the National Assembly Standing Committee. However, those services accompanying state administration duties are still put in the list of public services provided by state agencies and for which fees and charges are fixed by the State. * Differential treatment of domestic, foreign real estate businesses proposed to be eliminated: At the Vietnam Business Forum on December 1, David W. Carter, representing AusCham in Vietnam, raised the concern about the difference in rights of domestic and foreign-invested real estate businesses provided in the new Law on Real Estate Business and suggested a statutory revision to ensure an equal footing and fair rules for players in the Vietnamese real estate market. The said Law does not permit foreign investors to transfer land use rights in the form of dividing land into plots for sale while domestic investors can do so. Moreover, foreign-invested real estate businesses may only collect 50 percent of value of future housing purchase-sale or hire-purchase contracts while domestic housing developers may collect up to 70 percent. David Lim, head of the land working group, has also proposed amendments to relevant provisions in the Land Law and relevant laws which might inhibit fair competition in the real estate in Vietnam, including addition of the right of foreign investors to mobilize capital from credit and non-credit institutions overseas and other sources not banned by law outside the list of permissible capital sources for housing projects prescribed in Article 69 of the Housing Law and Article 19 of Decree No. 99/2015/ND-CP. * List of investment conditions applicable to foreign investors to be published soon: One of the two commitments made by Planning and Investment Minister Bui Quang Vinh at the recent Vietnam Business Forum 2015 was that the list of investment conditions which must be met by foreign investors in Vietnam would be published on the National Portal on Foreign Investment on December 27, the effective date of Government Decree No. 118/2015/ND-CP guiding the Investment Law. The other commitment was that the condition for a securities company to be identified as a foreign-invested business on the Vietnamese securities market, e.g. the shareholding by foreign investors of over 65 percent of the company’s total shares for a continuous period of at least one year, would be applied soon though this criterion was still in the pipeline and its applicability was still questionable. The early promulgation of such a criterion has been advocated by foreign investors even if it would be adjusted several times after being put in force.